Employers with operations spread across several states often like to centralize all dispute resolution with employees in a single state – say, where their corporate headquarters is based. It can trim legal defense costs and hedge against a runaway jury. We’ve written about it several times before (cost-effective dispute resolution systems, forum selection and venue selection). But don’t count on every state to respect what the employer and employee agree to. The Golden State now won’t. Alan Bush is a routine a freelance contributor for Texas Lawyer. 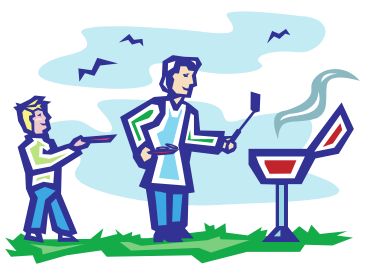 His latest article, "Make Forum Selection Like Barbeque," appeared in the March 17, 2014 issue. Lee Winkelman, of counsel with the firm, jumped aboard as co-author. Thanks to a recent SCOTUS decision, companies now have a strong hand to pick where employee disputes will be litigated. Forum selection clauses in employment agreements and arbitration policies have real teeth. Everybody wants their pick of forum to settle disputes. Why else would lawyers go toe-to-toe about it at the courthouse? But duking it out with an unhappy current or former employee is kind of like having a meal. The cooking always tastes better at home. Barbeque and lawsuits: They're both better in your own backyard. Disputes with an employee-turned-plaintiff are no exception. Last December in Atlantic Marine Construction Co. v. U.S. District Court for the Western District of Texas, the U.S. Supreme Court dealt a better hand to companies seeking to enforce a forum selection clause if an employee comes after them in court. In-house counsel now have a choice. Break out a streamlined employment dispute resolution process, like arbitration or jury waivers, with a forum selection provision? Or tread the path to the employee's chosen courthouse to pick a jury? When forum selection clauses are worth the effort. Previously, Alan and Morgan have written about using streamlined dispute resolution methods – like arbitration policies and jury waivers – to control defense costs. That Texas Lawyer article can be found here.